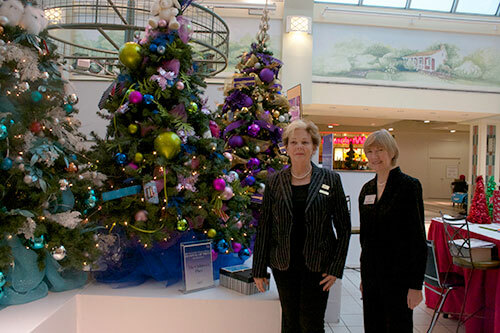 Beth Christie, left, and Lori Sims, members of the May Court Club of Oakville, are running the Festival of Trees. The trees have returned to Oakville Place after a seven-year absence. 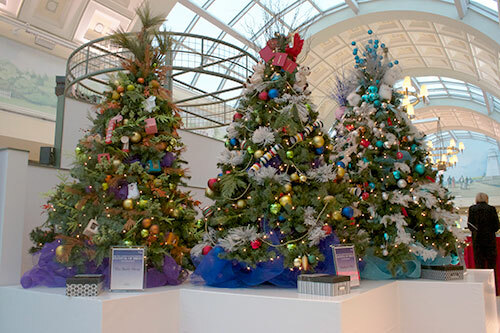 The Festival of Trees runs from Nov. 25 to Dec. 9, and five trees will be raffled off with proceeds going to charity. There are five artificial Christmas trees up for raffle, each put together by a store from the mall including The Bay, Children’s Place, Purdy’s Chocolate, The Body Shop and David’s Tea. The Bay has a brightly coloured tree with Hudson’s Bay-style crackers and ribbons, while David’s Tea is a bright baby blue covered in gift cards and Purdy’s Chocolate is wrapped in purple and gold ribbons with chocolate all over the tree. The public has welcomed the festival’s return. The festival is set up in the food court where tickets are available for $5. The May Court Club of Oakville has been around since 1956 and has been giving back to the community through fundraisers and the May Court Nearly New Shop on Kerr St. “We raise funds through the store. It is a service with affordable clothing for anyone looking to get back into work,” said Sims. Students are encouraged to donate clothes to the store to help out those in need of affordable professional clothing. 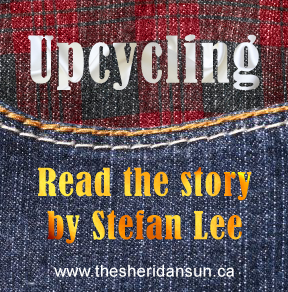 “Something students can do is donate clothing and then we give them 50 per cent of profit,” said Sims. All money raised by the May Court Club of Oakville is donated to various charities in Oakville. 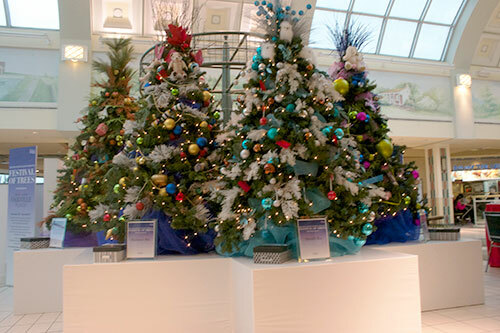 The Festival of Trees will end Dec. 9 with the raffle draw. The trees will be delivered by each store to the winners. “The shop will handle the delivery, and the tree will be moved fully decorated and ready to go fully assembled,” said Christie. Added by Jonathan Ferguson on December 2, 2014.